Travel search startup Hipmunk is bringing its super-slick user interface (UI)– and arguably the startup world’s cutest mascot– to the iPad. The San Francisco-based company has announced the launch of its custom iPad app, which will be available as a free download in the iTunes (s AAPL) store starting Tuesday. 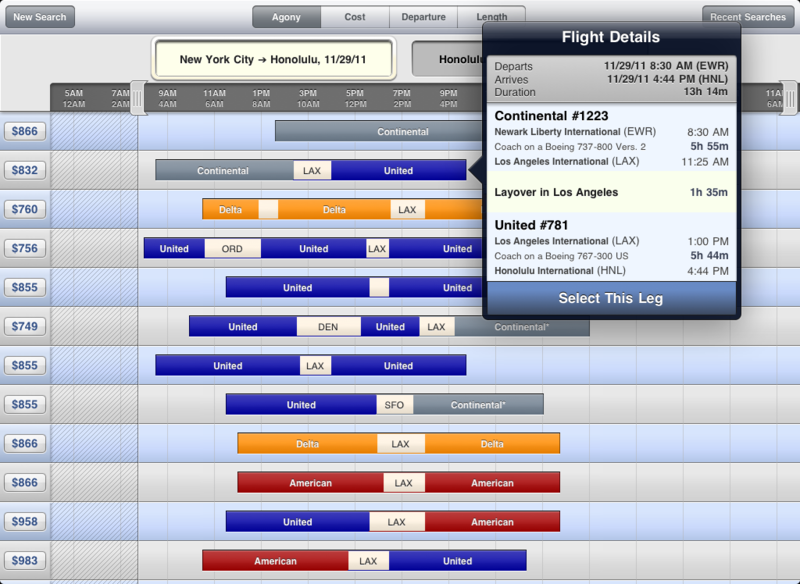 The iPad app launch is accompanied by an update to the iPhone app Hipmunk debuted in February. An Android (s GOOG) application is in the pipeline, according to the company. Hipmunk’s head of mobile Danilo Campos recently took me through a preview of the iPad app, and by all appearances, it’s a spot-on translation of Hipmunk’s unique web experience. Just like on the web, flight results are sorted according to those with the lowest amount of “agony,” which is determined by the flight’s duration, number of layovers, and price. 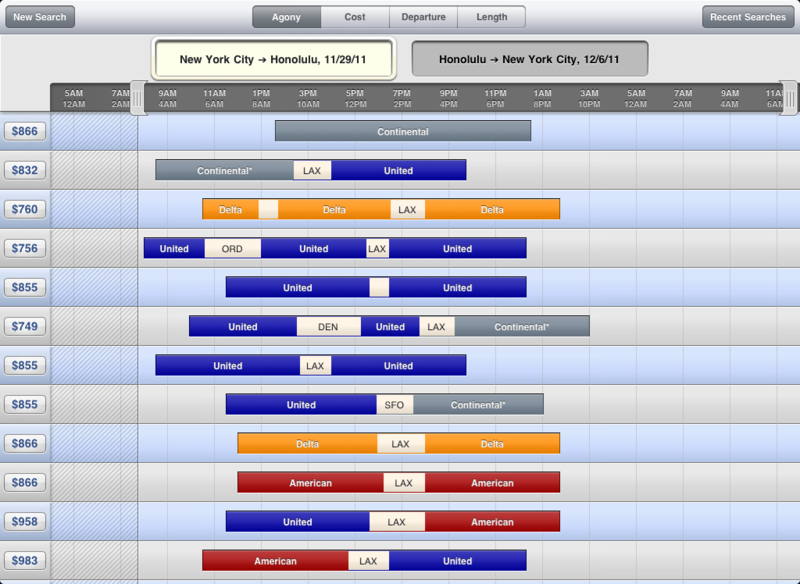 The UI incorporates the same visual timeline format for displaying search results that is well known by users of Hipmunk’s website. It also includes a handy option to either book in the Safari browser, or save the selection with a finish code to finalize the booking later from a computer. “Launching an iPad app aligns with our mission of providing a superior, and fun, travel search experience,” Hipmunk CEO Adam Goldstein said in a press release announcing the app’s availability. 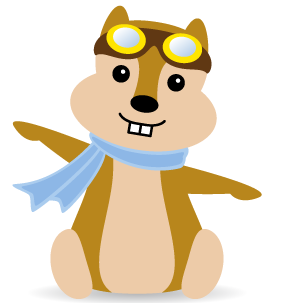 You can read more about Hipmunk in my more in-depth interview with Goldstein published by GigaOM earlier this month. I’ve really gotten to like Hipmunk, despite initial reservations.